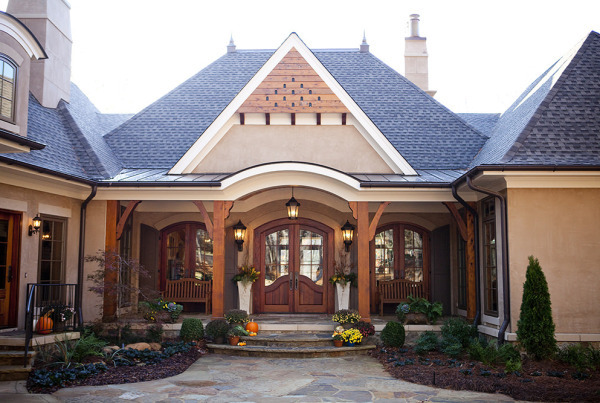 French Country architecture is a unique style that offers a lot of charm with its distinctive characteristics. These house plans generally have asymmetrical exteriors with a combination of ornamental attributes that complete the design. Some of the common characteristics of this design are: Stucco and brick exteriors with steep roof pitches at varying heights. Curved roof pitches are sometimes incorporated in one or two locations. These homes are usually two stories in height with high rooflines. Chimneys are usually large and sloped at the base. As with many other styles, there are variations to French architecture. 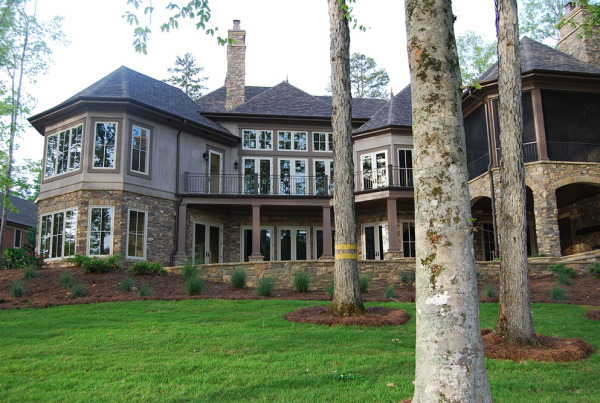 Some plans are symmetrical with steep hipped roofs and exteriors are sometimes siding, shakes or other materials.